I have several chicken and beer dished pinned and bookmarked on my computer. I decided it was time to finally try one. I decided on this version because I love honey mustard. 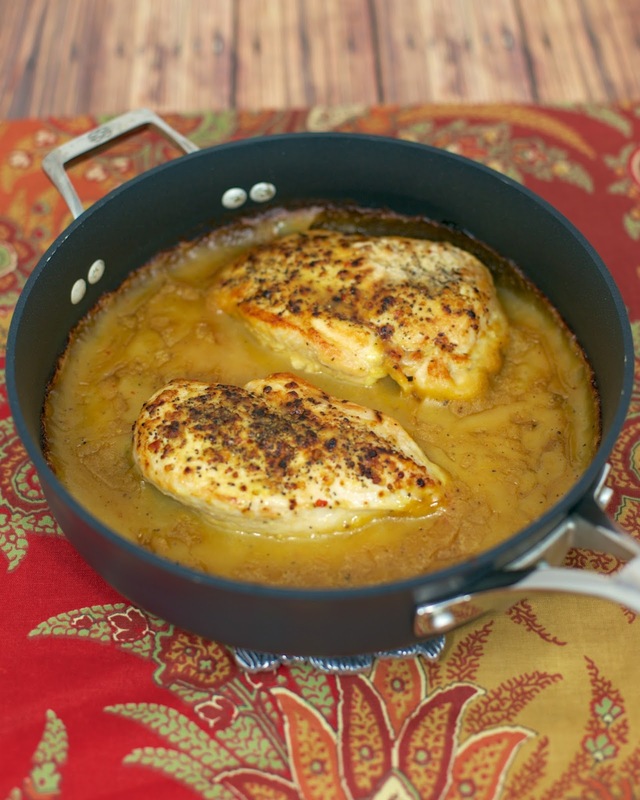 This dish reminded us of another dish we love, Maple Dijon Chicken Thighs. It was very flavorful and super simple to prepare. Just season and sear the chicken, pour the sauce over the chicken and bake. The flavor will change depending on the beer you use in the dish. I used Chicken Legs' favorite beer, Shocktop. Blue Moon would be really good in here too. I think the slight citrus flavor in the beer goes well with the honey mustard. In a medium bowl, whisk together mustard, honey, beer, cornstarch, pepper, red pepper flakes, garlic and lemon juice. Set aside. Heat olive oil over medium-high heat in a 12-inch oven-safe skillet. Season chicken with salt and pepper on both sides. Cook chicken 3 minutes on each side. Remove from heat. Pour mustard sauce over the chicken. Place skillet in oven and bake 20 to 25 minutes. Serve chicken over rice and spoon sauce on top of chicken. 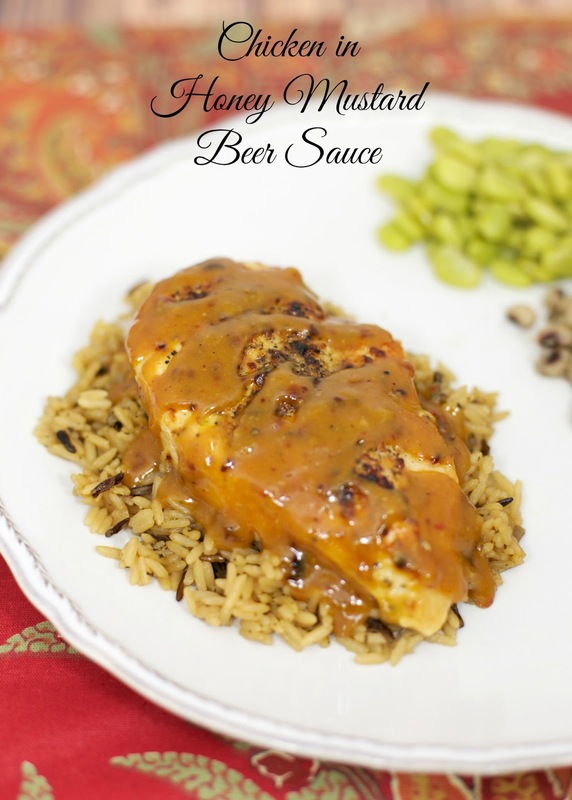 *If your sauce is too thick, thin it out with some beer or water. Good looking dish Steph - like your presentation. It tastes good, just a little too much dijon for me. Shocktop works great in all kinds of recipes, they used it in a vinaigrette at the St Louis brewery. This is next on my menu!! Sounds yummy. And I highly recommend the Maple Dijon Chicken Thighs to anyone who hasn't already tried it. De-lish!! This was a huge hit for dinner last night. I love having this as a go-to site where I can type in chicken, and find a great recipe with ingredients that are always in the house. Quick and easy. I love it.